the X2 is powerful, reliable, and durable. user-friendly as possible, we have selected a streamlined set of on-board I/O. controllers) to your expanding system. 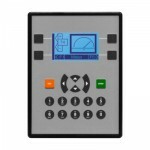 Features of the X2R Operator Interface include: STANDARD ONBOARD I/O Total Digital Inputs ..